THE NEW HOMEWORK….What does it look like? If your child has a word ring, please practice for a few minutes as a warm up. Each night your child should read for about 15 minutes. That should be enough time to read one book or one chapter from a chapter book. Reading should be followed up by some sort of activity. Next week you will receive a set of activities based on your child’s dot book level. 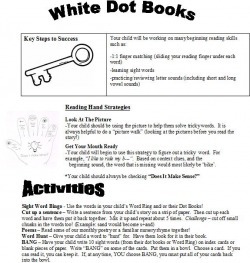 These activities can be as quick as a question about the book or can be a longer activity such as an online game. This can be helpful because everyone has busy schedules at various points in the week. Your child will receive a math paper each week to complete. They can complete the whole paper in 1 day or throughout the week. If they finish it and are looking for more practice, you can practice addition or subtraction flash cards.